You may or may not know this, but I travel quite a lot. Moving from the US to the UK means multiple flights home per year and all the headaches that go along with those trips (at the airport! Not you, mom!). Packing alone is usually tough enough and there have been significant advances for suitcases with recent technology. But, no matter how well you pack, you still have to wait in a long line to drop it off at the airport. Until now. Introducing the RIMOWA Electronic Tag. 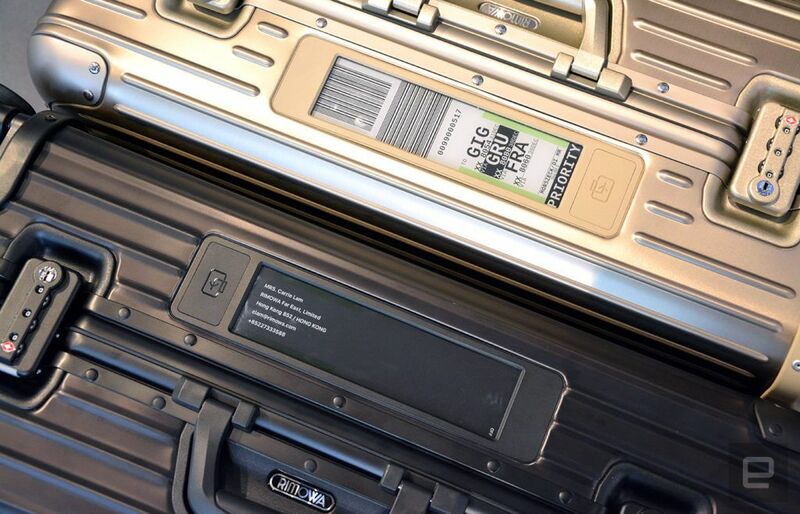 Partnering with Lufthansa for the launch, the RIMOWA Electronic Tag totally changes your view of air travel. The advanced technology built right in enables you to check in for your flight and also check in your luggage. The Electronic Tag saves you all the time wasted in a queue. 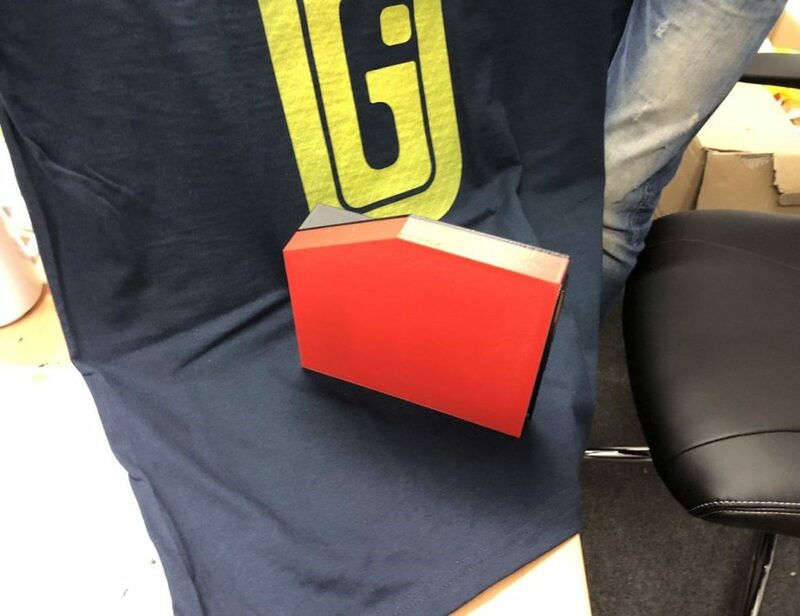 With it, you simply drop off the bag and head to security. 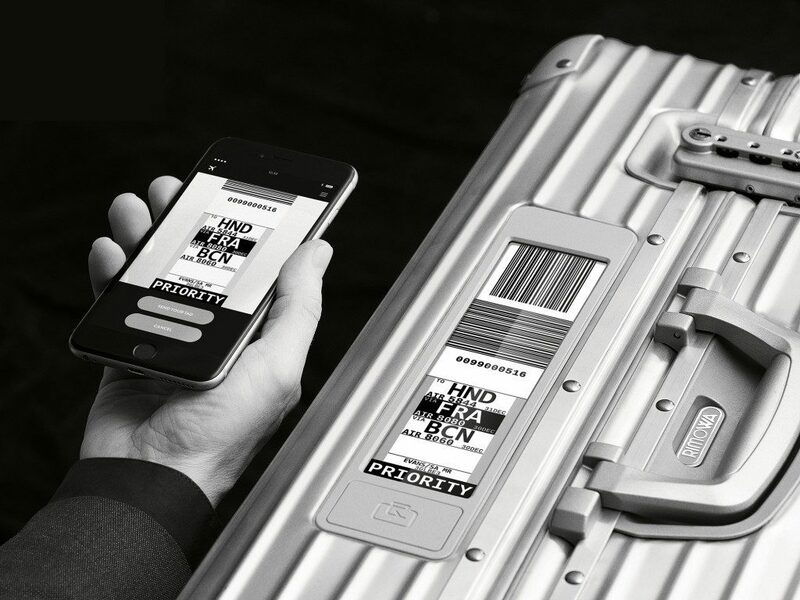 Making this convenience possible is the RIMOWA app. This app allows you to check-in for your flight and it also handles your luggage tag without switching screens. Once you’re checked in, the app provides a completely personalized tag that is compatible with airline apps and procedures. 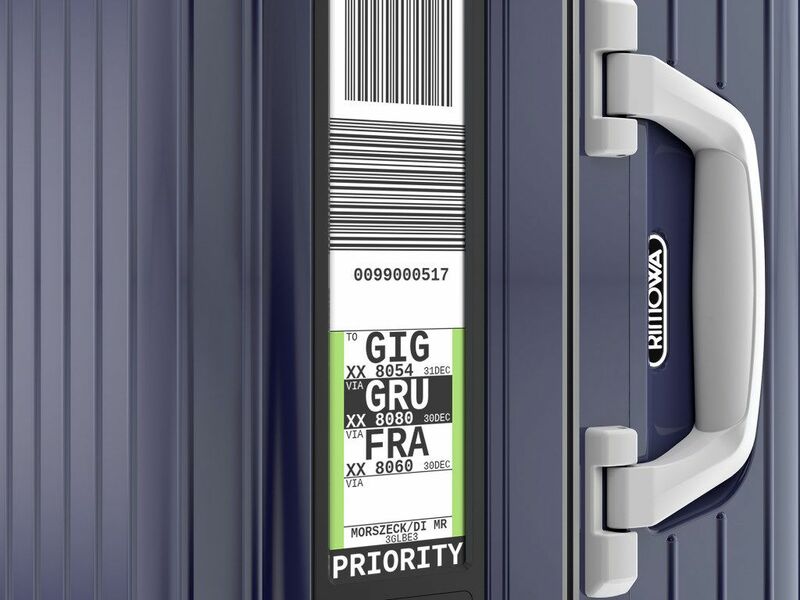 Connecting via Bluetooth, the Electronic Tag on the luggage is automatically updated with your flight details and barcode. At this point, both you and your bag are checked in and all that’s left to do is drop off the bag. 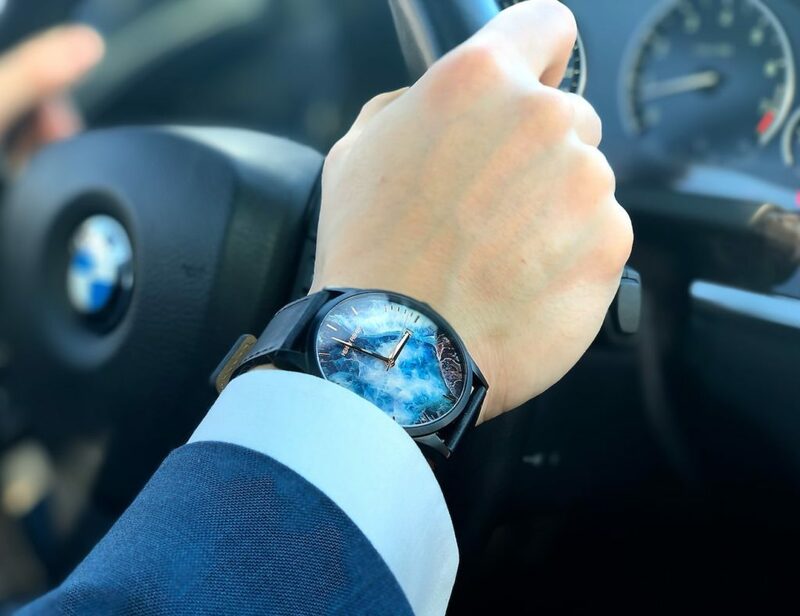 While it may seem like a subtle enhancement to the travel routine, think about the last time you waited to check in – for me, the wait was a gruelling 90 minutes that nearly made us miss our flight. Ninety minutes to simply drop off a bag. If we had used the Electronic Tag, we would have had time for a whole sit-down meal and had zero stress. Beyond that, the Electronic Tag minimizes the risk of losing your bag as the tag can’t be smudged, crumpled, torn, or even ripped off your bag. Looking at your suitcase now, you’ve probably realised that it’s not compatible with the Electronic Tag. 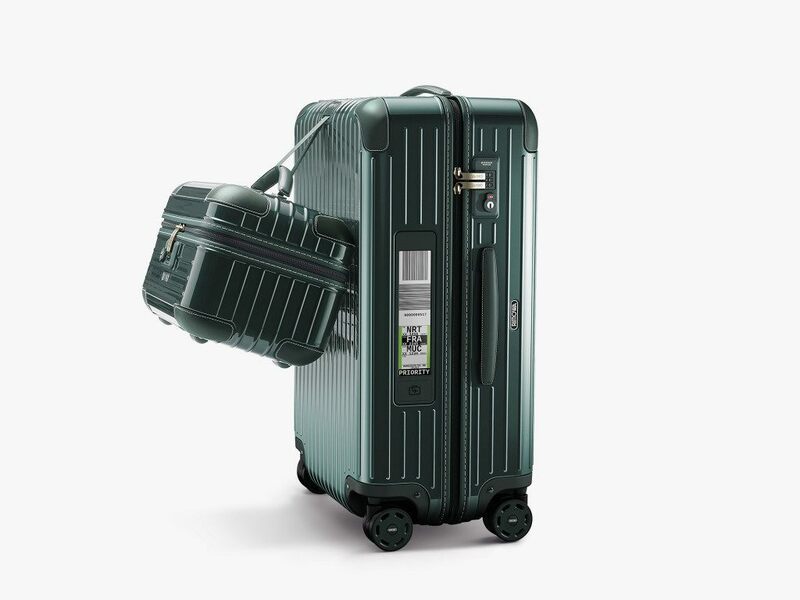 Instead, RIMOWA have integrated this incredible device into seven of their bags, each of which is remarkable in its own right for its durability and added tech features. The tag itself is secured to the side of the suitcase and achieves an extra long battery life thanks to the E-ink display. This display also makes it easy to read in any environment whether it’s dark or sunny. As I mentioned, RIMOWA are rolling out the Electronic Tag with Lufthansa and the airline will have special lines designated to these travellers. Testing has also begun with Eva Air, United, Condor, and Thomas Cook to suit all of your travels worldwide. Available now for purchase from select retailers, the Electronic Tag is a huge advancement in the travel industry. 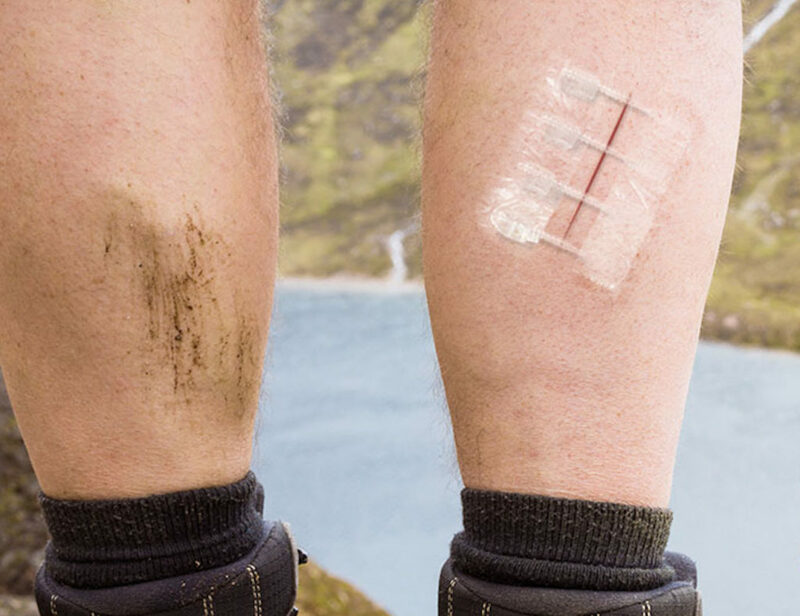 Where will you go on your first trip with the Electronic Tag?